Leading Edge Simulations has posted Rolls Royce RB211 Engine renders from the Boeing 747-400 for X-Plane. 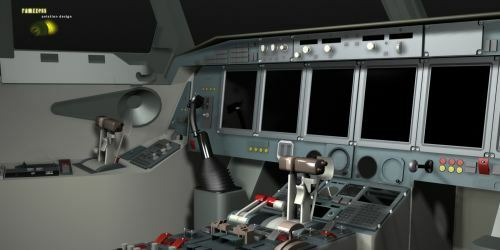 Ramzzess has posted several virtual cockpit preview renders from the Beriev Be-200 project for X-Plane. CaptainSim has released the Boeing 737-100 base package for FSX. More information at the CS Website. Real Environment Simulations has released Service Pack 3 to Real Environment Xtreme for X-Plane. - Updated backend processing code of the weather sync feature. - Fixed formatting of the metar.rwx file handling of temp and dew point. - Updated backend code for better performance of the WASYS. - Moved processing of weather to new database system. McPhat Studios has posted another teaser screenshot from the upcoming PMDG 737 NGX High Definition Textures. New preview screenshots from the Cera Simaircraft Bell 222 for FSX have been posted in the Hovercontrol Forums. ScanSim has posted several new previews from the next update to Copenhagen Kastrup Airport (EKCH) for FSX. 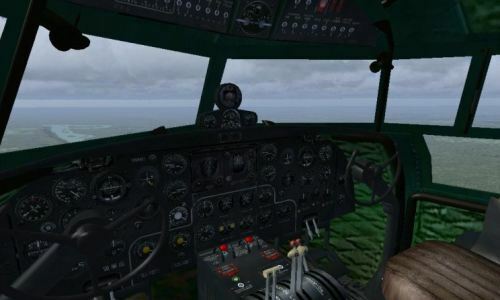 Flysimware has posted the first development pictures from the upcoming Bell 47J/G project for FSX. Robert S. Randazzo from PMDG has posted another status update on the upcoming Boeing 737NGX Service Pack 1. CaptainSim has posted new preview pictures and video from the soon to be released Boeing 737-100 for FSX. 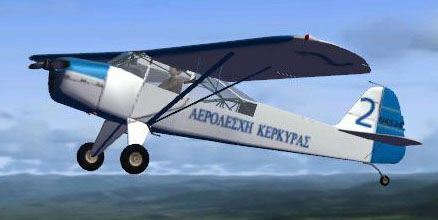 Yiannis Katehis Tsetsas has released the freeware Taylorcraft Auster 5 Kerkira Air Club for FS2004. Keith Paine has released the freeware Percival Provost T1 for FSX. Details and download at BritSim. Eagle Rotorcraft Simulations has posted more preview pictures from the Bell 206B JetRanger III for FSX. Wilco Publishing is offering a 50% discount on the 737 Pilot In Command for FSX and FS2004. Until September 4th 2011. Alexander Ther has created an unofficial promo video to Orbx Fall City Airport (1WA6) for FSX. Orbx has updated their scenery libraries to version 110831. Download at the Orbx Support Website. Flightbeam has posted the first picture from Phoenix Sky Harbor International Airport (KPHX) for FSX. feelThere has released the Boston Logan International Airport (KBOS) add-on for Tower! 2011. CaptainSim has posted the user manual to the soon to be released Boeing 737-100 for FSX at the Product Page. The El Formosa Taiwan Scenery Project has released another update to Taiwan Taoyuan Intl. Airport (RCTP) for FS2004. FSBreak episode 97: X-Plane 10 News, Take on Helicopters, and more at the FSBreak Website. TropicalSim has posted the first pictures from Cibao International Airport (MDST) for FSX and FS2004. An updated version of the freeware Ilyushin IL-14 for FS2004 is now available to download at AVSIMrus. McPhat Studios posted a promotional video for the CaptainSim Boeing 757 World Airliners 5 High Definition Textures (HDT). Majestic Software has announced update version 2.006 to the Bomardier Dash 8 Q300 for FSX and FS2004. 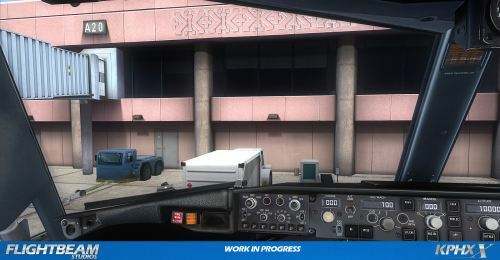 FSDreamTeam has posted another teaser screenshot from Los Angeles Intl. 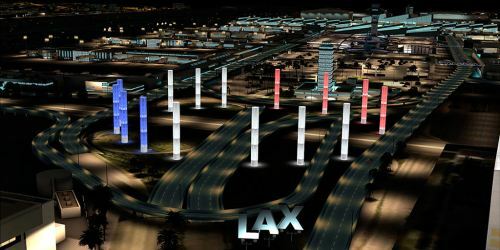 Airport (KLAX) for FSX and FS2004. Carenado has posted the first preview pictures from the upcoming Beechcraft F33 Bonanza for X-Plane. Aerosoft has posted several nighttime screenshots from the upcoming Corfu X (LGKR) scenery for FSX. Cestomano has released the freeware La Gomera Airport (GCGM) for X-Plane. Download at X-Plane.org. Vasil Madjarov has released the freeware Burgas (Bourgas) International Airport (LBBG) for FS2004. Download at AVSIM. The freeware Albert Whitted Airport (KSPG) scenery for FSX is now available to download at Flightsim.com. Carenado has released the long-awaited Cessna C337 Skymaster for FSX. Details at the Carenado Website. External and internal dynamic shadows, volumetric normal mapping, specular mapping and bloom lights. The AVSIM 2011 Reader Choice Awards are now open. Voting closes on September 30th 2011 at midnight. Aubrey has posted HEMS livery previews from the MD Helicopters MD-902 Explorer for X-Plane. Vidan Design has posted more preview images from Danish Airfields X Herning Lufthavn (EKHG) for FSX. RAZBAM has released the Convair F/A-201A Kestrel multi-role aircraft for FSX. Detailed representation of the aircraft's HUD. 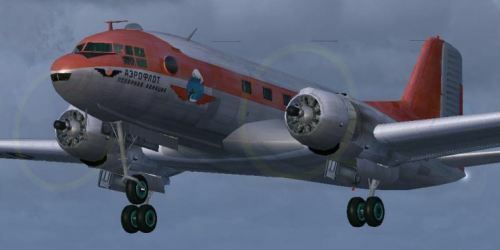 McPhat Studios posted a promotional video for the Coolsky Super 80 Pro World Airliners 2 High Definition Textures (HDT). The Godzone Store is offering 20% off on New Zealand Vector Land Class for FSX during the first week of September. Orbx has released Fall City Airport (1WA6) for FSX in the FTX NA Pacific Northwest region. Custom ground imagery at 7cm per pixel! Introduces NatureFlow, amazing animated trees/grass! Unbelievable level of object detail! Commercial Level Simulations has posted a few more preview pictures from the upcoming Airbus A330-200 Update. Baja Sim has posted more preview pictures from La Paz, Baja California Sur (MMLP) for FSX and FS2004.